Sykes Ornamental Iron and Custom Metal Works, Inc. Comment: Replace wood fence with vinyl privacy fence with a gate. Comment: .y tence is falling apart and I need to replace it. Comment: Need a 3-rail post and rail fence installed in back yard. Approximately 80 feet needed with treated lumber wood. Comment: I have an existing chain link fence along the back of my property that I would like replaced with privacy fencing. 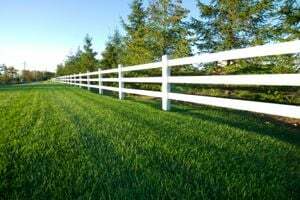 Wilmington Fence Contractors are rated 4.77 out of 5 based on 361 reviews of 20 pros. Not Looking for Fences Contractors in Wilmington, DE?